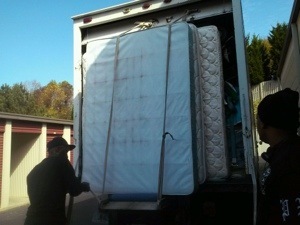 A customer had hired another mover to box-pack her items in New York, and transport—them to a storage unit in Atlanta, Georgia. We moved the items from the storage unit to her new apartment. 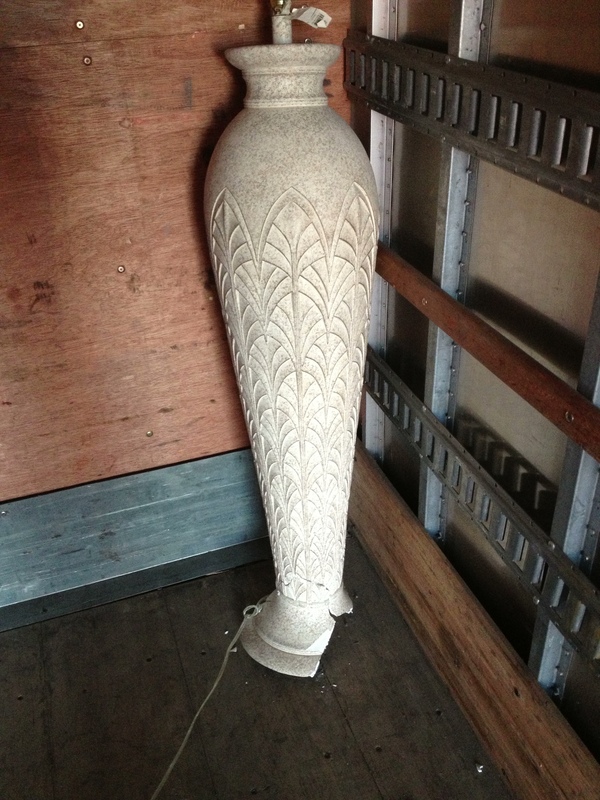 The New York movers had packed this tall, ceramic lamp pictured above–in a wardrobe box—and here’s the sad part—they surrounded the fragile lamp with heavy books! So you now had a big heavy box which meant you needed a hand truck to move it. But going up or down stairs, you were now bouncing the heavy books against the fragile lamp. That’s called “Planning for a Damage Claim.” (You’ve heard of “Planning for Success;” well this is planning for damage! “Galileo’s “Square-Cube Law” explains how as an object gets bigger, it tends to get weaker unless it becomes relatively significantly more dense. A tall standing lamp like this one tends to be more fragile than if it was table-sized. So if any item should get the tender treatment—it was this lamp—but instead they piled books on top of it. And the damage seen in these pictures was the result! How should the lamp have been box-packed? In a “lamp box” (with the shade in a separate box). In the “World of Claims,” lamps are an item that is 1) both fragile and relatively easy to damage, and 2) closer to the owner’s heart than a lot of inventory items. Compare “lamps” with say, the “end tables” they sit on. Even a nice end table is basically an inert, square chunk of shiny wood, whereas a lamp is a “light giving” thing which is often sculptured and artistic like a vase. The lamp’s owner frequently touches it directly to turn it on and off, whereas the end table just holds glasses, and magazines etc. This particular lamp in the picture was given to the customer by her now deceased Mother, so the lamp’s loss was particularly painful! Protect those lamps! Especially the more fragile ones. Deborah Bates wrapping chairs with pads and rubber bands. You have to admit–it looks like she is doing a good job. And using rubber bands instead of tape means much easier cleanup. To Reuse is better than to Recycle! Target and Walmart sell millions of these cheap floor lamps, and beginning movers and do-it-yourselfers break these every day. Since they are long and relatively light, the intuitive thing is to to lay them horizontally, high in a tier. 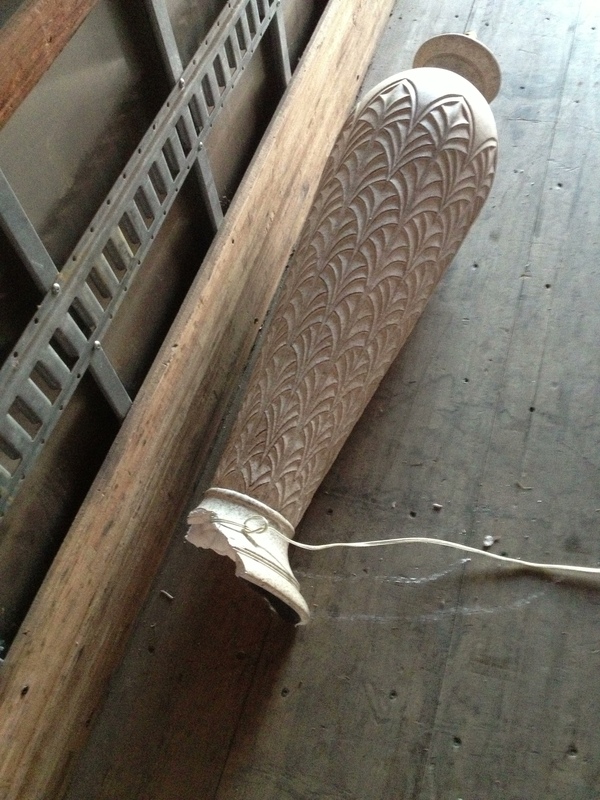 Don’t lay down a floor lamp this way! ; And along the side of the truck is not a tier !!! The problem is they are very cheap to buy for a reason—they are very cheaply made! The round base is screwed into two or three poles, all screwed together, and then finally screwed into the light at the top. If you assemble the lamp and stand it up vertically, then okay, it will probably hold together. But turn it on its side and lay it down . . . Good luck! The screw rings are a marvel of “Value Engineering,” meaning they are designed as cheaply as possible. And “designed as cheaply as possible” means only designed to stand up, not to lay horizontally. Each of the screw-together points is a weak point where breakage is possible, even likely. In my experience, when these are moved in the lay-down fashion, the most common breakage point is where the round floor base connects to the first pole. 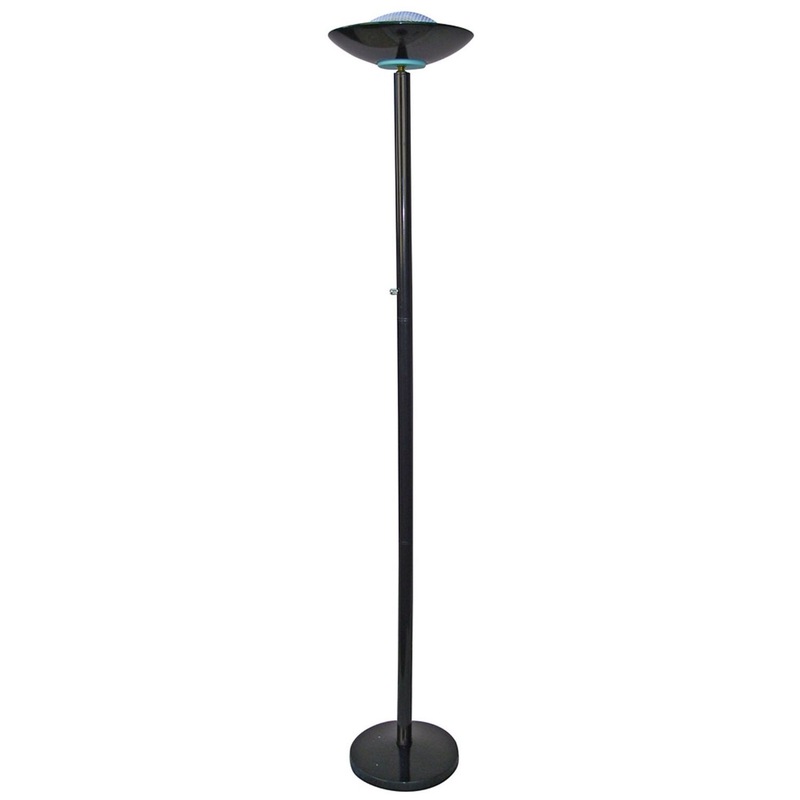 This round floor base often snaps off the first pole, and the lamp will stand straight no more! The only safe way to move these is to tie them against the wall. Since the lamps are fragile even while standing, we are using a lighter-than-usual pad to cover the top of the lamp. 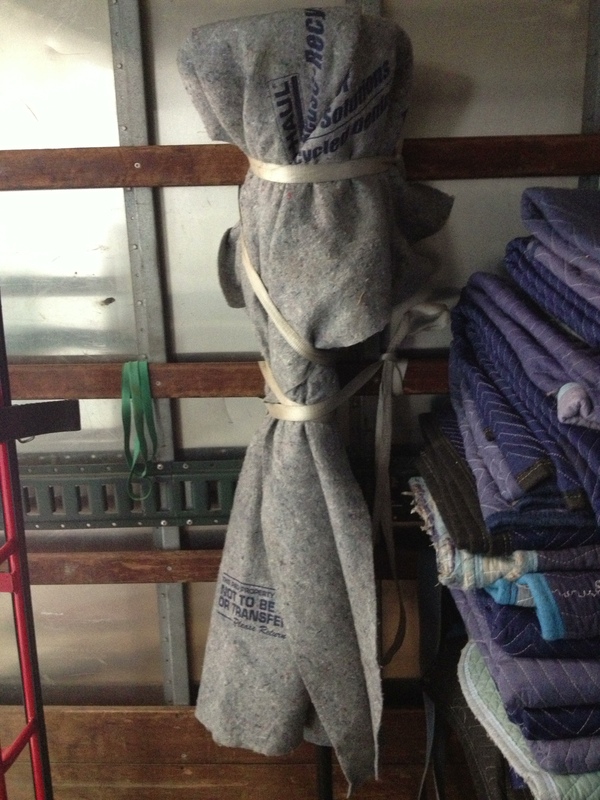 Instead of a regular quilted pad, we are usually a light blanket (actually a “U-haul” blanket which a customer left us) You could get by, by tying it to the wall uncovered, but then the metal lamp fixture would rub against the truck wall and likely leave marks on the lamp. In two decades I have never seen a floor lamp damaged when tied to the wall in this fashion, but have seen them damaged countless times when laid down at the top of a tier. I say “nastier,” because industrial moves often involve “MACHINES” or “machine-like” inventory. We moved a Shoe Repair shop once and it had a surprising number of machines. One of these machines was so heavy it BROKE a four-wheel dolly! Other machines leaked oil all over the truck. Before moving this Barber Shop, I remembered hearing a story from a friend who had moved a barber chair and said oil leaked all over the place. I asked this Barber Shop owner whether she thought the oil would leak out of her chairs. She said they do leak some, but downplayed it. 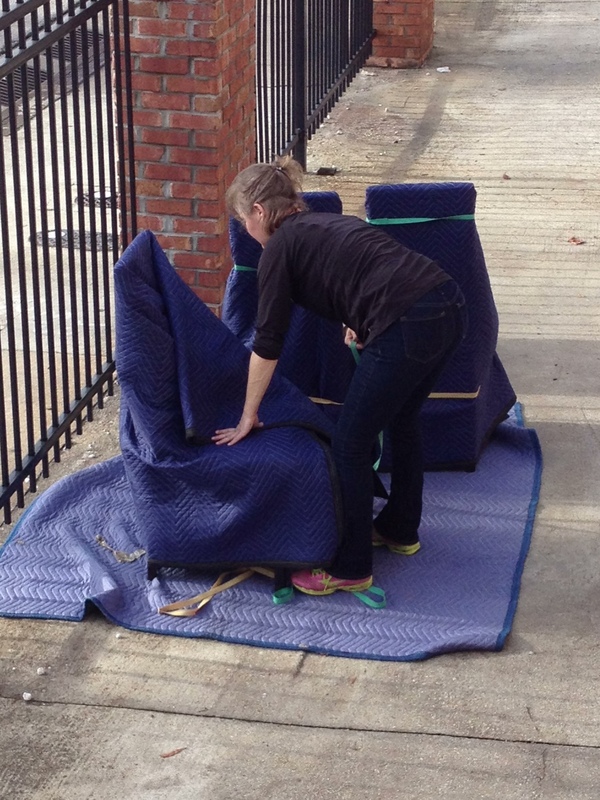 During the move, the chairs leaked everywhere–all over the shop as we were wheeling them out; all over the stairs; all over the truck ramp; all over the truck cargo box floor, and all over the concrete storage unit at the destination! 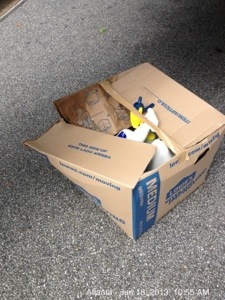 I don’t have a picture of it, but we put old cardboard boxes on the wood of the truck cargo box to help catch the oil. 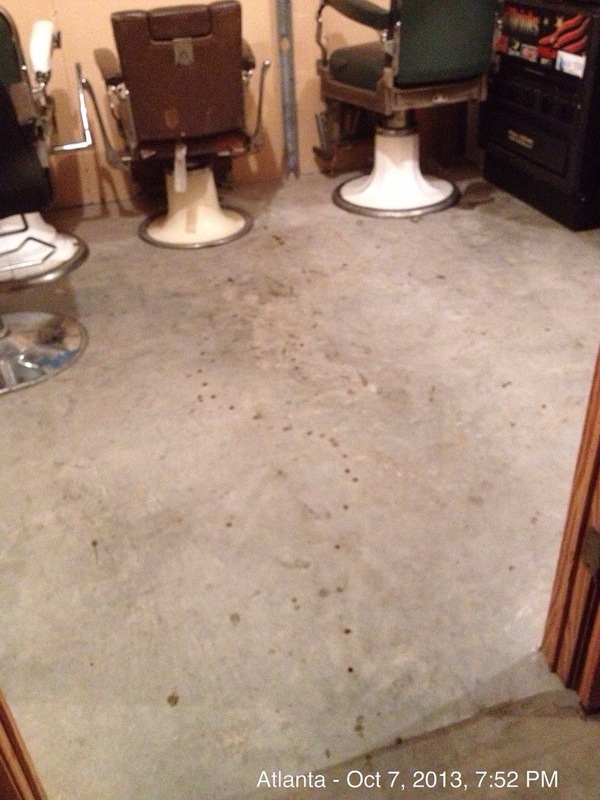 Below are pictures of the barber chairs and the leaky mess they left over the floors. 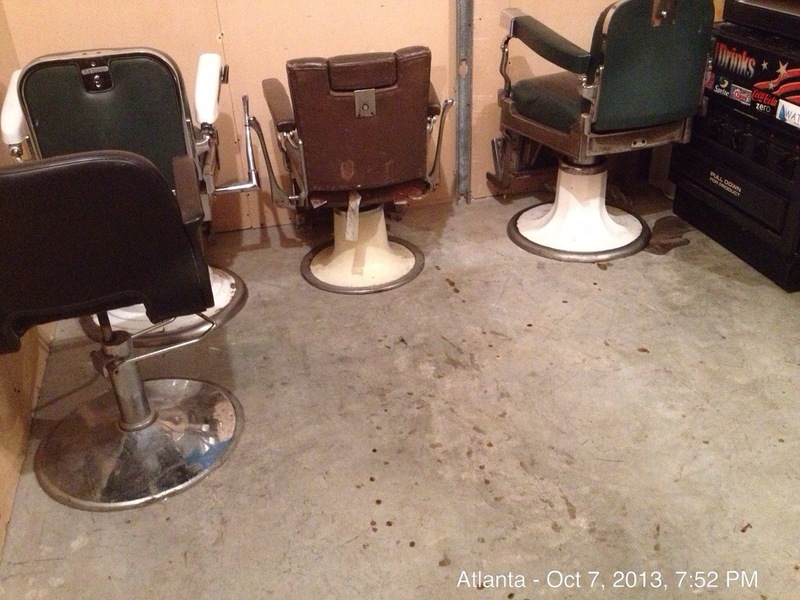 There must be a protocol to close off the barber chairs in some way so they do not leak oil when moved. Perhaps there is a plug you put in, or maybe you can do some heavy duct taping. If anyone has experience with this, or knows the correct way to move barber chairs without leaking oil, please reply in the comments below. 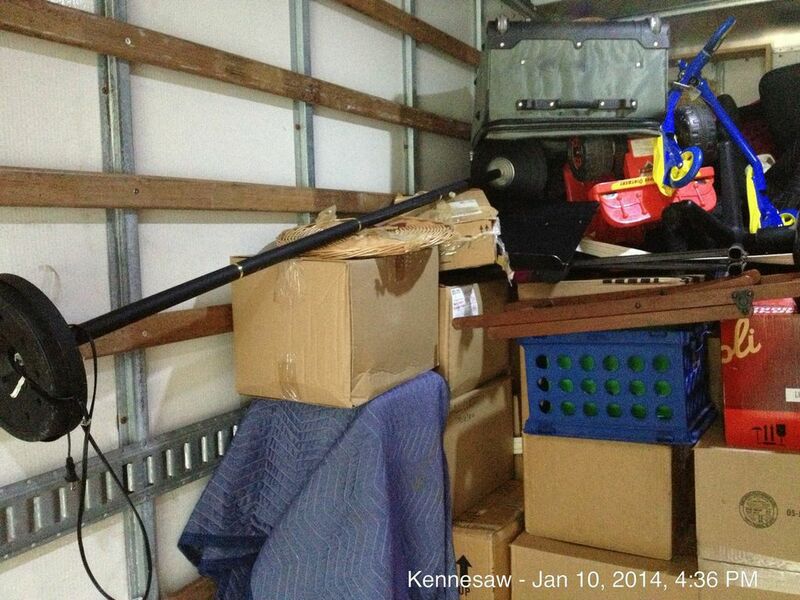 When you’re loading a truck, do you sometimes get to the end of the truck and find you’re out of truck space? I hate that. But when you have exceeded the limits–how about INCREASING THE LIMITS? Sometimes you can do that. You need to have some sort of small platform at the end of the truck in order to do this. Some trucks do not have it, but the majority of trucks do, as does this one as you can see in the picture. There is about a 12 inch platform where you can stand and close the door, or in this case, tie excess inventory on the back! Needless to say, you want to have the item tied on tight. You don’t want it falling off on the highway. But if you use at least two ropes or cables, and tie them tight, you can feel pretty secure the item will stay there. 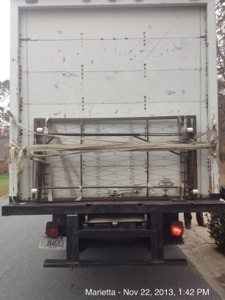 In this case with the trundle bed frame, we first thought of standing it up straight, but the bars on each side of the truck where we could tie the ropes, were too low to accommodate that. The bed frame was much more secure by resting it horizontally across the platform. But what do you do when the 12″ platform is not enough accommodate the multiple excess pieces you need on load? In the next picture below, the movers PULLED OUT THE RAMP a couple feet so there were about three feet of “platform” beyond the normal 24′ of truck cargo space. 1) You certainly cannot drive very far like this. 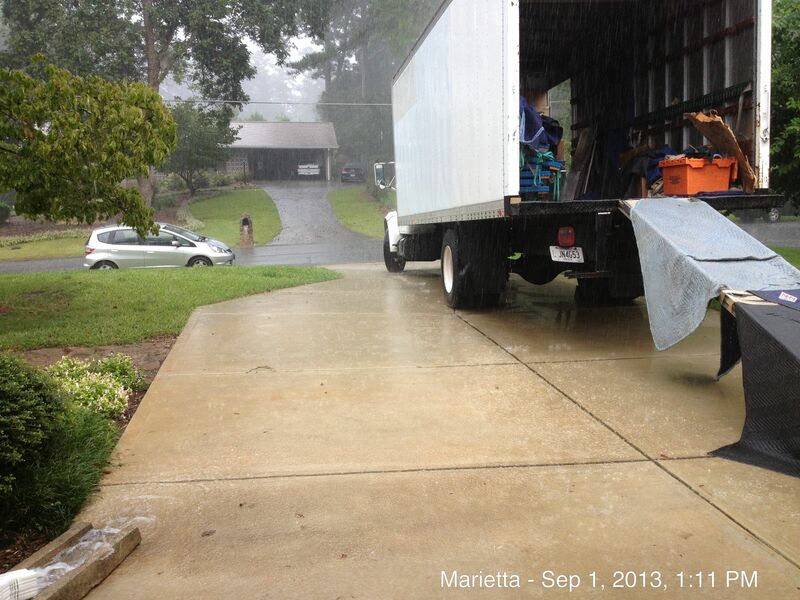 The items in this case are mattresses and box-springs which are very vulnerable to rain! 2) It would be pushing the patience of a police officer who might drive by. But it can save having to make a second trip. 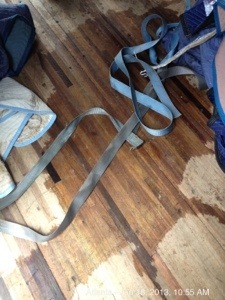 I have to say I would have been more comfortable with another couple straps tied across horizontally. 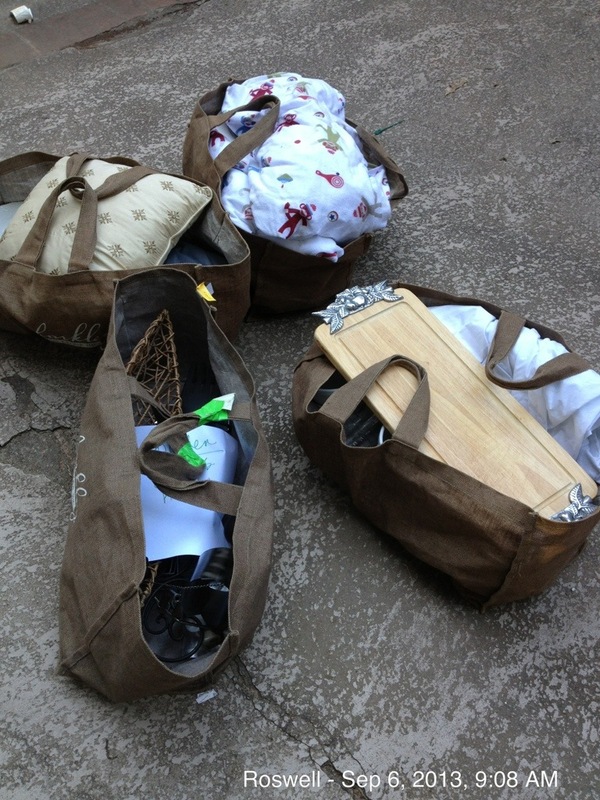 But the items got there safely . . . This is definitely Extreme Truck Packing! A BOX SOAKED THROUGH AND SPLIT APART BY AN OPEN BLEACH BOTTLE! THE SPILLED BLEACH WET ON THE MOVING TRUCK FLOOR. As a Moving Worker, it is not pleasant to work inside a truck FILLED WITH BLEACH FUMES! And if you were the customer being moved, how would you feel if that spilled bleach soiled, say, your $3000 red leather sofa?! Really the only way to move the cleaning supplies is in your car, preferably in an open plastic crate sitting sitting on the floor in front of the front passenger seat, so you can watch it. CHECK AND TIGHTEN THE BOTTLE LIDS!